Hollanda’ya Türkiye’den gelen (1964-2014) işçi göçünün 50.yılı, Hollanda Türk Müzesi tarafından düzenlenen programda 3 Ekim Cuma günü, Türkiye Lahey Büyükelçisi Sayın Sadık Arslan ve Lahey Belediye Başkanı Sayın Jozias van Aartsen katılımlarıyla gerçekleşti. I am delighted to have the opportunity to speak here today, on a very happy occasion. 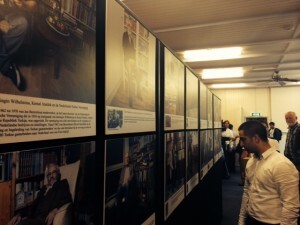 The Turkish Museum embarked on a meaningful initiative and compiled the stories of 50 individuals in a book; titled “50 Stories in 50 Years” which tells the story of migration of Turks to the Netherlands. Interestingly, these 50 individuals were chosen not only among the first generation of migrant Turks, but also among Dutchmen and Dutchwomen who embraced and helped this migrant community adapt to its new homeland. I am sure this book will contribute to the social memory of the Netherlands. I congratulate the Turkish Museum and all other contributors on this commendable endeavor. 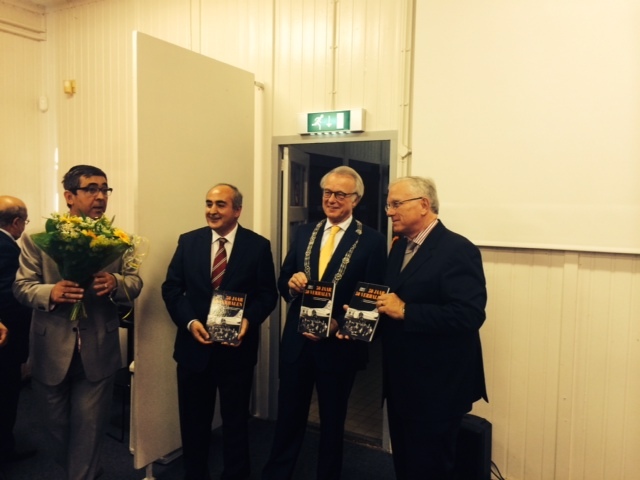 As you well know, this year marks the 50th anniversary of the migration of Turkish labor force to the Netherlands. For the last five decades, Turks, who first came here as “guest workers” not only contributed to the productive force of the Netherlands, but later on actively participated in all walks of social life, including politics, economy, culture and academia. 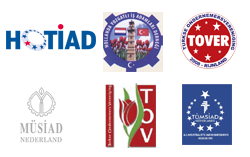 Today, especially the second and third generations of Turkish-Dutch community are distinguished for their successful participation in the Dutch society. They see the Netherlands as their homeland. They work here, go to school here, create works of art here and so on. They serve this country as doctors, soldiers, lawyers, academics and in many other capacities. 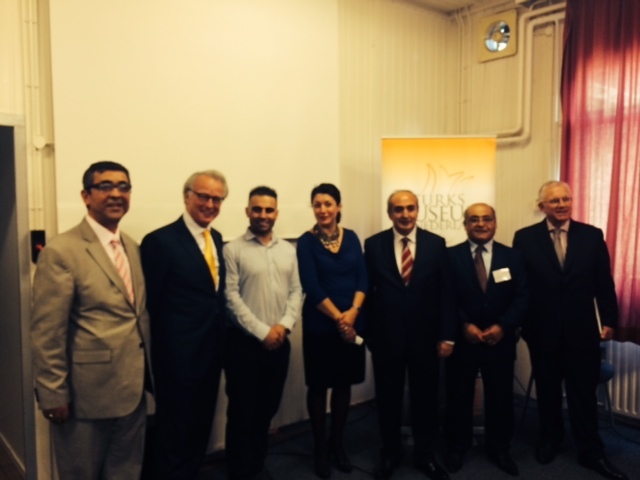 Now, among them there are approximately 20 thousand entrepreneurs creating thousands of new jobs in The Netherlands. They are active in politics at both local and national levels. 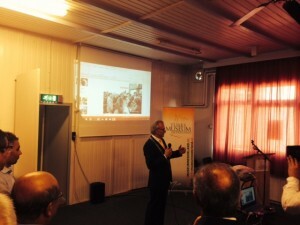 Most importantly, they are decent and law abiding citizens of the Netherlands. We consider the Dutch citizens of Turkish origin as an important common bond between Turkey and the Netherlands. In a sense, they constitute an unbreakable human bridge between our two countries. They might be proud of their Turkish cultural heritage and identity, but I am hundred percent sure that they are more passionately attached to the Netherlands and proud of their Dutch identity too. In fact, these two senses of attachment go hand in hand. They are neither mutually exclusive, nor alternative to each other. For them, Turkishness and Dutchness are not conflicting, but rather complementary and mutually reinforcing. It is true that there are problems and there is always room for improvement regarding the integration of Turks to the Netherlands. We know that nothing could be perfect, especially when it comes to social phenomena as complex as migration. 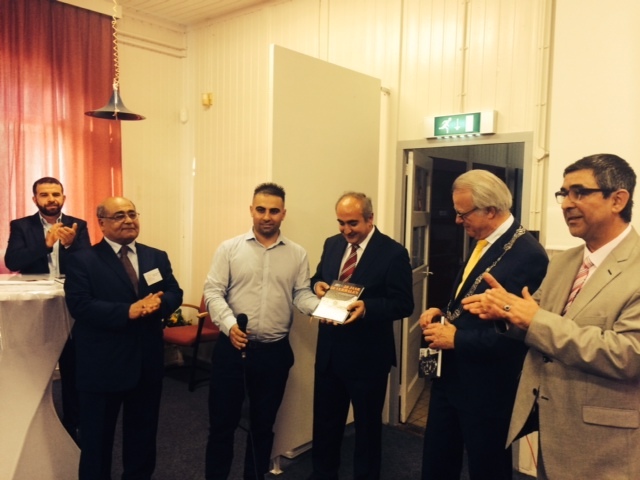 We have always encouraged the full integration of over 400 thousand Turkish-Dutch community as much as possible. 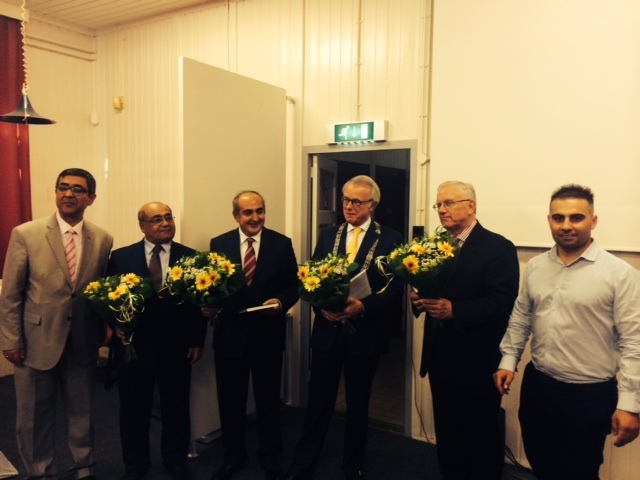 We know that their well-being serves to the interest of both Turkey and the Netherlands. There is no doubt that the complications of migration can only be surmounted with a welcoming approach and dialogue. Integration takes time. Patience and encouragement are key factors for a successful integration process. Today the Turkish-Dutch community is living in better conditions compared to fifty years ago. This is partly due to the hard work and resilience of the first generation of migrants. I think we owe a special tribute to them for their courage and entrepreneurial spirit, which enabled them to start a journey of thousands of miles and settling in a foreign country, which later became their homeland. Nevertheless, this cannot be achieved without liberal and affectionate policies of all successive Dutch Governments since 1960s. Taking this opportunity, I would like to express our heartfelt gratitude to the Dutch authorities who have spared no effort to help improve the living standards of migrant communities in the Netherlands. 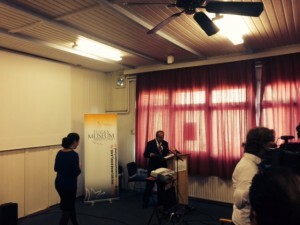 The Turkish Museum is a civic initiative of a handful of volunteers who strive to introduce Turkish culture and Turkish-Dutch community’s decades-long experience to the Dutch society. As you see, the Museum currently operates in a rather modest environment and with limited resources. But I hope over time it will obtain enough financial assistance to be able to better contribute to the cultural and intellectual life in The Hague. 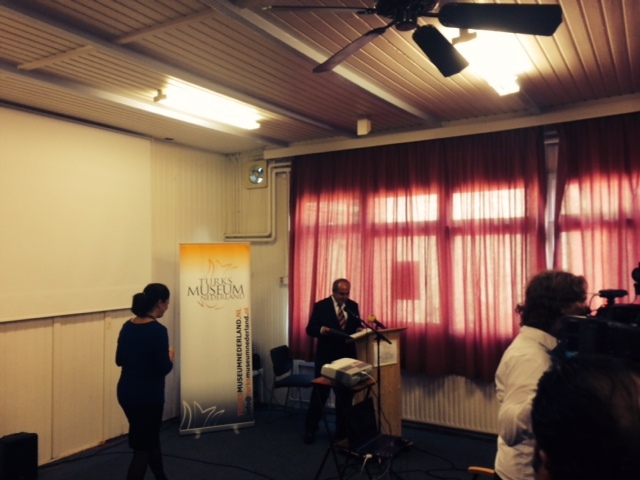 I know the contribution of the Municipality of the Hague to the Museum is highly appreciated by the Turkish-Dutch community. In this regard, they will be very much pleased with further support by Honourable Mayor Van Aartsen for the Museum to operate in a proper building. Congratulations again for the book “50 Stories in 50 Years”. I wish you a happy and prosperous Eid, in other words, Kurban Bayramı. Thank you.